With the release of the iOS 12.1, Apple has added iPhone dual-SIM support, which is one of the most-awaited features accompanying the new iPhones. However, users won’t be able to use the eSIM feature yet, thanks to the carriers. 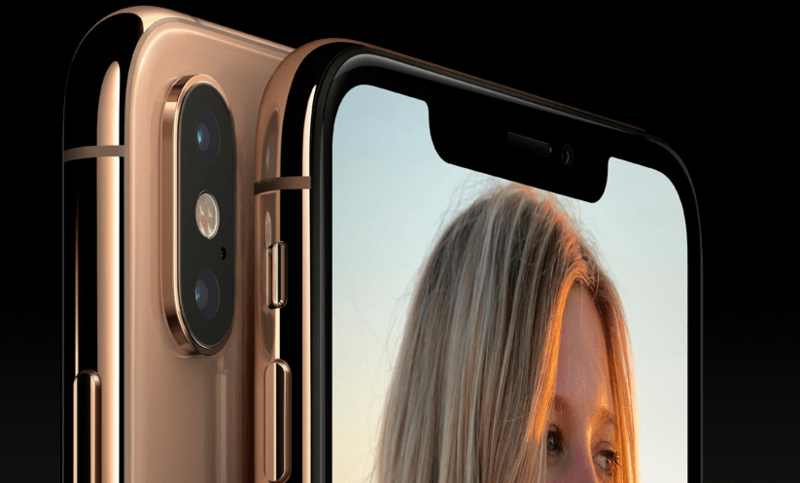 Apple’s eSIM feature allows dual-SIM functionality on the iPhone XS, XS Max, and XR. However, despite Apple adding the necessary technical support for it with the iOS 12.1, none of the major U.S. carriers are ready to support it yet. AT&T, Verizon, and T-Mobile have all postponed their support for the eSIM feature to later this year. For instance, AT&T is telling users that it is delaying the eSIM activations owing to the technical issues with the Visual Voicemail. One AT&T store manager told MacRumors that they had been asked not to sell eSIM cards to the customers. Verizon already announced the delay earlier. The company is working on an issue where the Verizon lines used as a secondary number in the iPhone dual-SIM setup are getting stuck to 2G CDMA speeds. So, until the issue is resolved, the Verizon customers must avoid getting eSIMs activated from other companies. Verizon has assured of a fix soon, saying it is working to address the issue. “If you are a Verizon customer and you activate another carrier’s service on your iPhone’s eSIM, your Verizon service will be degraded due to the current software configuration,” Verizon told the Verge. Similarly, T-Mobile told PCMag that the company is working on the software to enable support for the eSIM. It must be noted that T-Mobile supports eSIM functionality in other countries. Sprint, the fourth major U.S. carrier, is not part of Apple’s list of carriers that will support eSIM. However, the carrier has promised support in time. Apple’s website notes that all three U.S. carriers (AT&T, Verizon, and T-Mobile) will ensure iPhone dual-SIM support “later this year.” Until then, the U.S. users have no choice but to wait for the eSIM support because the iPhone dual-SIM support is only possible if one of the SIMs used is an eSIM. Though the U.S. carriers are making iPhone users wait, carriers in other parts of the world are already offering iPhone dual-SIM support. Apple, on its website, has a list of all the carriers supporting the eSIM functionality. For instance, Hrvatski Telekom in Croatia, Telekom and Vodafone in Germany, EE in the UK, Airtel and Reliance Jio in India, Magyar Telekom in Hungary, and T-Mobile in Austria and Czech Republic. Apple first used the eSIM concept in the iPads, and it is the first time that it is being used in the iPhones. An eSIM is a digital or a non-physical SIM card. The iPhone dual-SIM support (with one being eSIM) would allow users to easily switch between two numbers or two cellular plans on a single device. So, in a way, it’s a disadvantage for carriers, where users can easily have two numbers from different carriers, and use the one that offers the best services. However, for using two different carriers, you must have an unlocked iPhone. If not, then both the plans must be from the same carrier. Also, if your first SIM is CDMA, then the second SIM won’t support CDMA. Dual-SIM – how it helps? Unlike in the U.S., the dual-SIM functionality is a popular feature in other parts of the world. A dual-SIM feature helps with three things – international roaming, where you can use a foreign SIM and your local SIM together; having one number for personal and another for professional use; using two separate carrier plans. In iPhone dual-SIM support, the primary SIM will be used for voice, text, and data, while the secondary SIM for voice and SMS/MMS. Apple has one more setting where the primary number is used for iMessage and FaceTime, and the secondary for data. “You might want to select this option if you’re traveling internationally and you want to keep Primary for voice, SMS, iMessage, and FaceTime. This will allow you to use Secondary for data,” Apple says. Further, with iPhone dual-SIM support you don’t have to select the number to use every time when calling a contact. The iPhone, by default, will remember the number you used when you last called that contact, and use the same number. And, if you haven’t called that contact before, the iPhone will use the default settings. A user can also change the settings and specify the number to be used for calling a particular contact.